For 58 years in the Philippines, International child-focused organization. 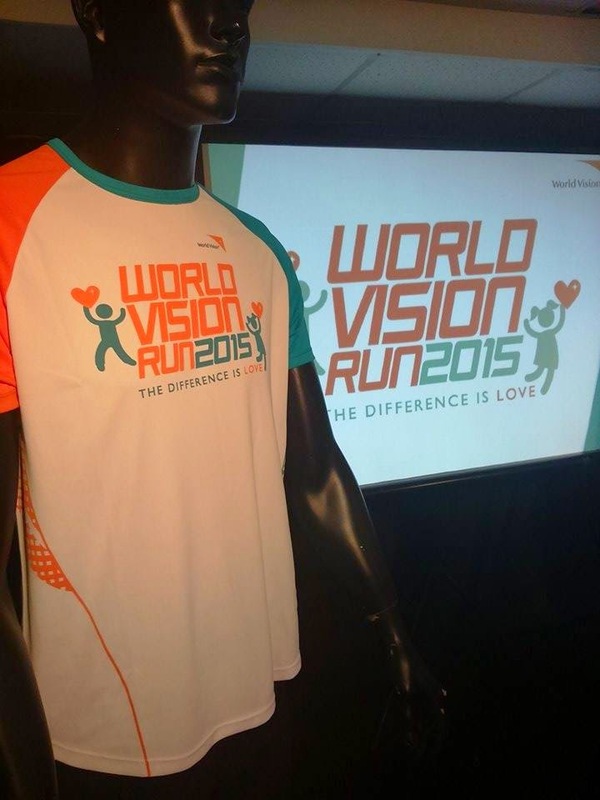 World Vision, has taken huge strides to ensure that Filipino children enjoy the fullness of life they deserve. 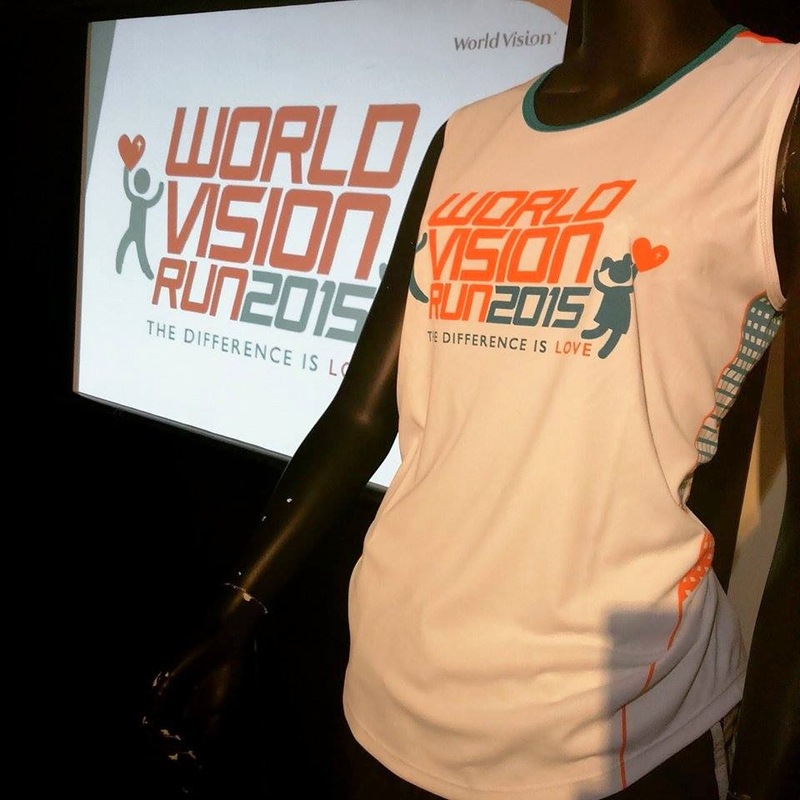 These efforts gave birth to what is now the most – anticipated running event of World Vision supporters and partners, the “World Vision Run”. 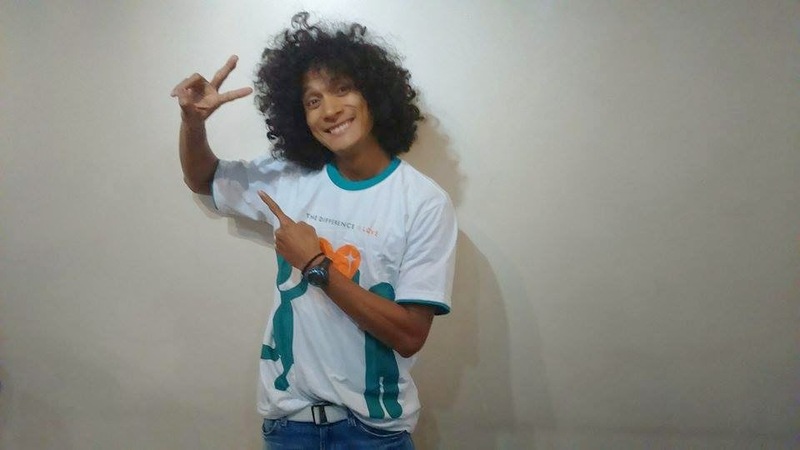 Organized by RunRio, proceeds of this event will benefit World Vision’s child sponsorship program currently reaching out to about 100,000 Filipino children, providing them access to education, health care, protection and other community development initiative for their families and communities. 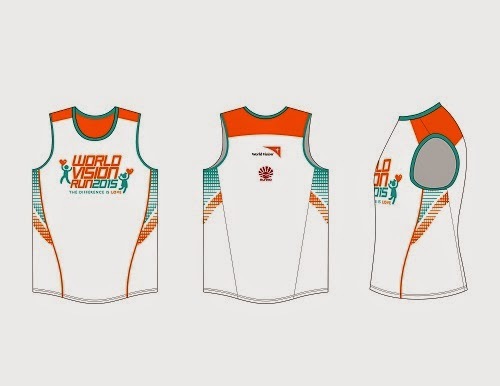 The race will be held at country’s biggest running circuit, the Mall of Asia grounds, to accommodate about 7,000 runners - - the biggest in the Run’s 4-year history. Online registration runs from April 17 to June 7, while in-store registration is from May 25 to June 14 at RUNNR (The Fort) and Toby’s (EDSA Shangri-La SM North The Block, and Mall of Asia) branches. 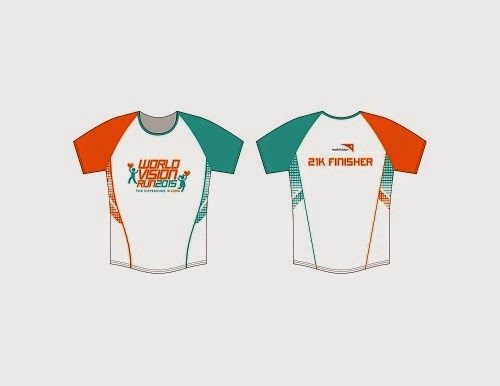 Runners can choose from the 3K, 5K, 10K, 21K race categories. 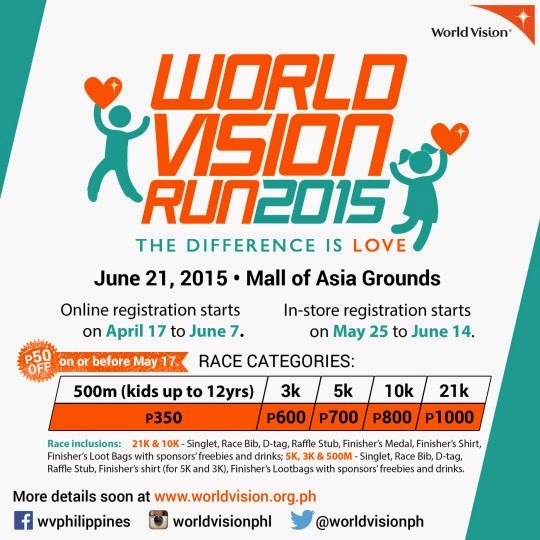 Parents can also join their children in the 500-meter dash making this event, truly, a race for the family to enjoy! Assembly time for the 21K race starts at 3:30 am; 10K, 5K, and 3K at 4:30 am; and 500m at 6:00 am. Tara sa Sunny Side Up Bazaar this April 11-12! Uratex Plant Tour, FieldTrip Mode On!